The geographical location of Cabo San Lucas creates one of the best climates in the world, with 360 or more days of sunshine guests can almost always count on a beautiful day for any activities they choose. The waters of Cabo San Lucas are perfect for a day of fishing, our anglers have been practicing “Catch and Release” style fishing for many years preserving our fish stocks for all to enjoy. While out on the water you can participate in another great activity “Whale watching”. During the months of late November through March guests will be treated to a spectacular sight of whales just offshore. Our waters attract eight of the 11 types of whales found worldwide. These magnificent creatures can be seen frolicking with their calves before making the long journey north. 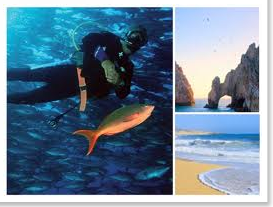 There are many activities available to our guests on water or land, here are just a few activities to try while vacationing in Cabo: parasailing, snorkelling, whale watching, scuba diving, fishing, jet ski, canopy zip line, horseback riding, ATV and let’s not forget our world class golf courses. 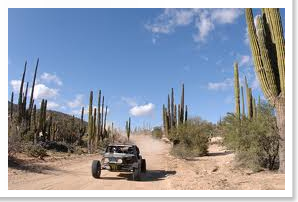 Cabo plays host to many sport fishing tournaments Marlin, Tuna, Dorado, and Wahoo, but is probably best known for hosting the world’s richest fishing tournaments the Bisbee’s Black and Blue. 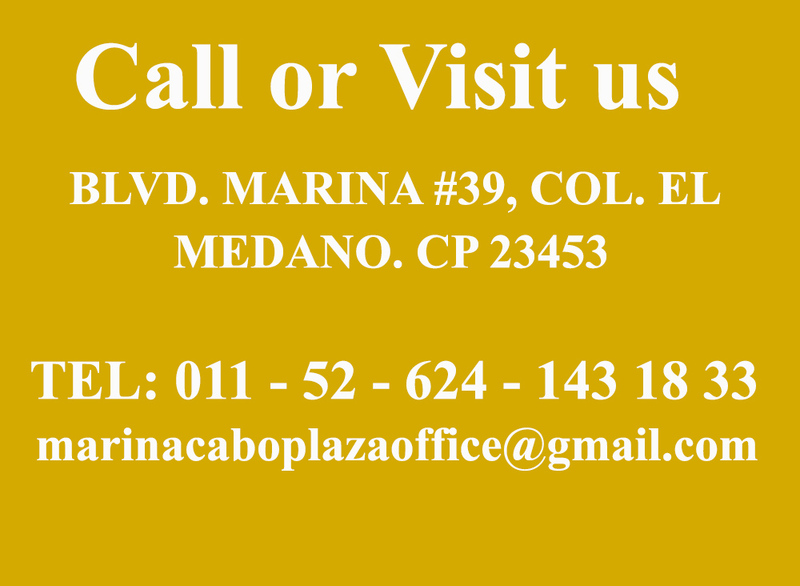 For those that find they just can’t leave this fabulous town there are Realty offices to help you buy your very own Piece of Paradise, Cabo Linda and Baja Properties have listings for every budget. Hanging on the South Golden Zone on the Marina means easy access to everything Cabo has to offer including activity booths to arrange a fishing trip, water taxi to El Arco, Sunset tour, an exquisite dinner, a wild ATV tour or a relaxing spa massage, all just minutes away or at your door step. 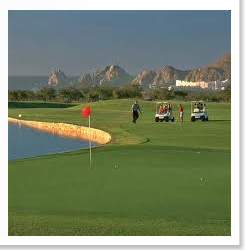 Everything is so convenient you´ll spend money on yourself and not taxis during your trip to Cabo.